Welcome home to this cute 2 story home! 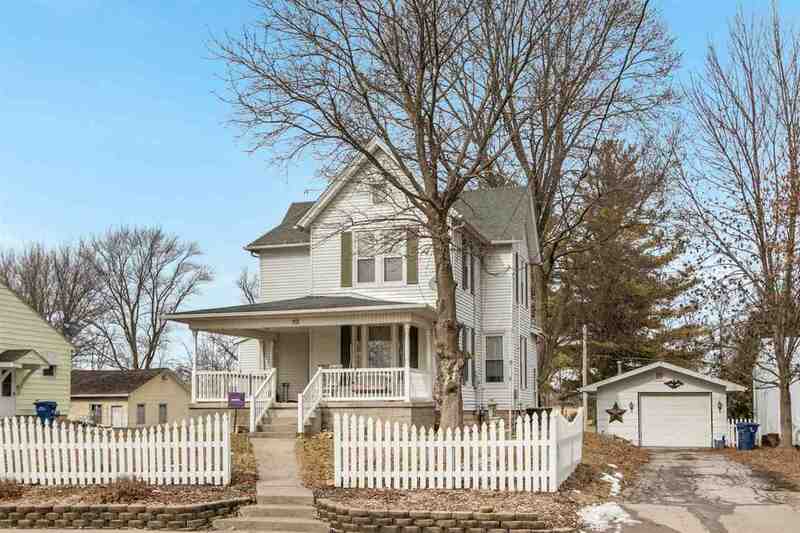 Large front porch w/swing! Original woodwork & hardwood floors! Large kitchen/dining space. Remodeled 2nd floor bathroom w/jet tub & double sinks + laundry. Large Tandem garage ( 16 x 48) that opens from both ends. Two 63 x 150 lots included with the home ( non buildable). Partial finish in LL. Quick possession possible. Overnight notice preferred for showings..day sleeper.